We believe that everybody has the right to fly. The Pegasus Family, our suppliers and our partners work together in cooperation to achieve this goal. To be the leading low-cost airline in our region with our innovative, rational, principled and responsible approach. Our leadership criteria: numbers of guests, our response to customer expectations, our pricing policy and the added value we provide to the Pegasus Family. Pegasus Hava Tasimaciligi A.S, which was founded as a joint venture company on 1990 by Aer Lingus Group, Silkar Yatırım ve Insaat Organizasyonu A.S. and Net Holding A.S., entered into commercial operation with two airplanes. After being acquired on 2005 by Esas Holding A.S. owned by Sevket Sabanci and his family, Pegasus started scheduled domestic flights in November of the same year and became the 4th top among the scheduled airlines operating in Turkey. According to the final structure of partnership after the Initial Public Offering; 34.5 % of shares are floating in Borsa Istanbul and 65.5% belongs to Esas Holding A.S, whereas the rest is owned by Sevket Sabanci and his family. We obtained a new cabin simulator that can be used to prepare for all types of emergency scenarios. We began trading 34.5% of our shares on Borsa Istanbul using the code 'PGSUS'. We signed a $12 billion contract to add 100 new Airbus A320neo and A321neo aircraft to our fleet. The initial order consisted of 75 new aircraft with the optional extra of 25 more. Pegasus Airlines belongs to Esas Holding, which was established in 2000 as a venture capital company.The chairman of Esas Holding is Şevket Sabancı. Esas Holding has an outstanding track record thanks to its young and innovative approach to business. Ali Ismail Sabanci has been holding the position of Chairman of Board in Pegasus Hava Tasimaciligi A.S since 2005. Between 1991 and 1997, he served in miscellaneous duties in Morgan Stanley & Co. Incorporated and Akbank T.A.S. and held office as Deputy Executive Manager of Strategy and Business Development between 2001 and 2004. He also holds a member position in Board of Directors of Esas Holding. He has a master’s degree in Economics and Politics granted by Tufts University and bachelor’s degree in International Finance obtained from Columbia University Business Administration Faculty. He is the Chairman of Young Entrepreneurs Board within the Union of Chambers and Commodities of Turkey and also member to Istanbul Chamber of Industry (ISO) and Turkish-American Business Council (TAIK). Born in 1966, Mehmet T.Nane obtained his undergraduate degree in International Relations at Boğaziçi University, İstanbul, in 1990 and his graduate degree in International Banking and Finance at University of Heriot Watt, Scotland in 1993 with UK Government’s FCO scholarship. He also participated Harvard Business School Advanced Management Program in 2013. 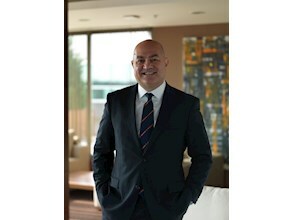 After various managerial positions in Türkiye Emlak Bankası, Demirbank and Demir Invest, he joined Sabancı Holding within which he held roles including Vice President of the Strategic Planning and Project Development Department, Director of the Retail Group and General Secretary of Sabancı Holding. Mehmet T. Nane has held the position of General Manager at Teknosa on April 2005. He previously served as Vice Chairman of the Teknosa Board of Directors between the founding date, March 2000 and April 2005. On August 2013 he has been appointed as the General Manager of CarrefourSA and held this position till 2016. 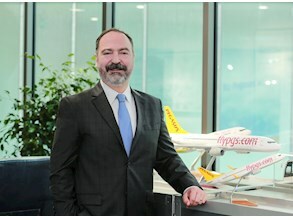 On March 2016 he became the CEO of Pegasus Airlines. 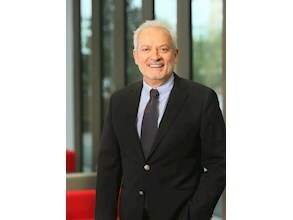 Currently Mehmet T. Nane is the Chairman of AMPD (TCSR)- Trade Council of Shopping Centers and Retailers, Turkey, the Chairman of TOBB- Retailing Council of Turkish Union of Chamber of Commerce, the chairman of SEV-Health and Education Foundation and Chairman of the Association of Turkish Graduates of Harvard Business School. Sertac Haybat is a member of the Board of Directors at Pegasus Hava Tasimaciligi A.S since 18 March 2016. Sertaç Haybat began his work life at Bursa Airlines in 1979 as Maintenance Manager in airlines sector. He held office as a member of engineering team between 1982 and 1987, as Strategic Planning and Investments Manager, Marketing Director and Sales Director for Singapore, Malaysia and Indonesia between 1989 and 1993, and as an Executive Board Member responsible for Financial and Corporate Planning at Turkish Airlines between 1997 and 2003. Moreover, he also served as a Member of Board of Directors at SunExpress company and General Manager and Member of Board of Directors at Pegasus Hava Tasimaciligi A.S between 2005 and 18 March 2016. Sertac Haybat has a Bachelor’s Degree in aviation engineering granted by Manchester University in 1976. Mr. Kozlu has served as a member of our Board of Directors since 2013. Mr. Kozlu held several positions at The Coca-Cola Company between 1996 and 2006 where his last position was the president of the company’s Central Europe, Eurasia and Middle East operations. 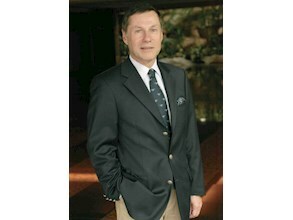 Sinec 2006, he has continued to serve as consultant to Coca-Cola Eurasia and Africa Group. Mr. Kozlu served as a member of Parliament in the Turkish Grand National Assembly from 1991 to 1995 and was the chairman of CEO of Turkish Airlines from 1988 to 1991. He also served as the president of the Association of European Airlines in 1990. Mr. Kozlu holds a bachelor’s degree from Denison University and an MBA degree from Stanford University. He also holds a Ph.D. in administrative sciences from Boğaziçi University. Zeynep Bodur OKYAY joined Pegasus as a non-executive director on July 14, 2016 and has served as an independent director since October 2016. Since 1992, Zeynep Bodur OKYAY held a number of duties at the Kale Group with investments in ceramics, construction materials, construction chemicals, defense and aviation, machinery, energy, mining, transportation and IT. Having assumed several roles as part of ceramics production planning and production management between 1992 and 1995, she was later appointed as the president and executive committee member of the group’s marketing companies and since 2007, serves as the president and CEO of the Kale Group. Zeynep Bodur OKYAY holds a bachelor’s degree in management engineering obtained from the Istanbul Technical University and has completed the management program master’s degree at Harvard University. 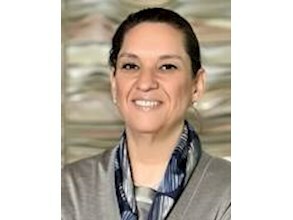 Among her active duties assumed in various non-governmental organizations, associations, foundations and chambers, Zeynep Bodur OKYAY serves as the chairman of the general assembly of the Istanbul Chamber of Industry, vice-chairman of the Economic Development Foundation, board member of the Foreign Economic Relations Board, member of the board of trustees of the Turkish Education Foundation and vice-chairman of the female entrepreneurs board of the Union of Chambers and Commodity Exchanges of Turkey. Saad Hassan HAMMAD joined Pegasus as a non-executive member of the Board of Directors on April 25, 2014 and has served as an independent director since March 31, 2015. Saad HAMMAD most recently served as the CEO of Flybe Group plc, between August 2013 and October 2016 and has considerable executive and non-executive experience in the aviation sector. From 2005 to 2009 Saad HAMMAD served as the Chief Commercial Officer at easyJet plc and in 2011 and 2012 he served as a non-executive directors at Air Berlin plc and a member of the Finance Committee. Outside of aviation, Saad HAMMAD was from 2009 to 2013 the Managing Director at the Gores Group, an operations-focused private equity firm with approximately US$ 4 billion under management. Previously, Saad HAMMAD held a number of leadership positions in brand management, sales and marketing and retailing at Procter & Gamble, Thorn-EMI, Vision Express and the Minit Group. 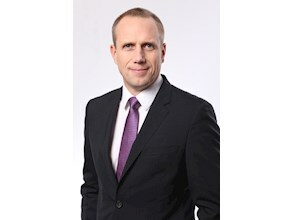 He was also Managing Director – Europe at Tibbett & Britten and CEO & Co-founder of Autocascade, a pan-European web-based yield management start-up focused on the automotive sector. Saad HAMMAD also served as a non-executive director of Optos plc, provider of medical retinal-imaging technology, where he was a member of the Audit and Remuneration Committees. Saad HAMMAD holds a BA (Hons) in Politics, Philosophy and Economics from Oxford University and an MBA from INSEAD. He is a citizen and a resident of the United Kingdom. Huseyin Cagatay Ozdogru is a member of the Board of Directors at Pegasus Hava Tasimaciligi A.S since 2007. Huseyin Cagatay Ozdogru held various positions at France Telecom Group between 1997 and 2001, where his last post was Vice President of REEMEA region (Russia-East Europe-Middle East & Africa. Huseyin Cagatay Ozdogru was the President of IT & Telecommunications industry in Sabancı Holding between 2002 and 2005. 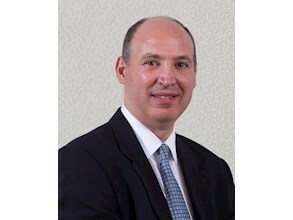 In June 2005 Huseyin Cagatay Ozdogru joined Esas Holding as a member of the Executive Committee and since 2010 he is serving as the CEO at Esas Holding A.S.. Huseyin Cagatay Ozdogru has a Bachelor’s Degree in Electronics and Telecommunications Engineering from Istanbul Technical University and a Master’s Degree in Telecommunications Engineering from the George Washington University. Stephen Mark GRIFFITHS joined Pegasus as a non-executive member of the Board of Directors on November 11, 2016 and has served as an independent director since January 2017. Steve GRIFFITHS is currently the Chief Operating Officer of the London Underground and has considerable executive experience in the aviation sector. Between 1995 and 2013, Steve GRIFFITHS served in various positions at Virgin Atlantic Airways Limited. Between March 2009 and June 2013, Steve GRIFFITHS was the Chief Operating Officer of Virgin Atlantic, responsible for the safe, efficient and cost effective delivery of the airline operations and customer service promise, with leadership responsibility for 6,500 employees in flight operations, engineering, airports, cargo, pilots, cabin crew, safety and security and customer experience. Prior to that, Steve GRIFFITHS served as director of engineering between 2007 and 2009 and undertook various senior engineering positions between 1995 and 2007. Between 1986 and 1995, Steve GRIFFITHS served as senior service engineer at Rolls Royce plc. Steve GRIFFITHS holds HND in Mechanical Engineering and has completed the Advanced Leadership Development Programme at Cranfield University. He is a citizen and a resident of the United Kingdom. Michael Glyn POWELL has been nominated as a candidate for the Board of Directors in December 2017 by a decision of the Pegasus Board of Directors. Mike POWELL has significant experience implementing the LCC business model and since June 2017, he has served as executive chairman and interim CFO of the Flybondi Group. 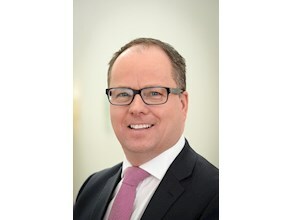 Between December 2015 and June 2007, Mike POWELL served as the CFO of the WizzAir Group, and between 2007 and 1997, he had experience in the equity market as head of aviation research and fund manager. Mike POWELL has a degree in Management Sciences from the University of Manchester. Mike POWELL is a citizen and resident of the United Kingdom.